There are usually two scenarios where this type of collision occurs. 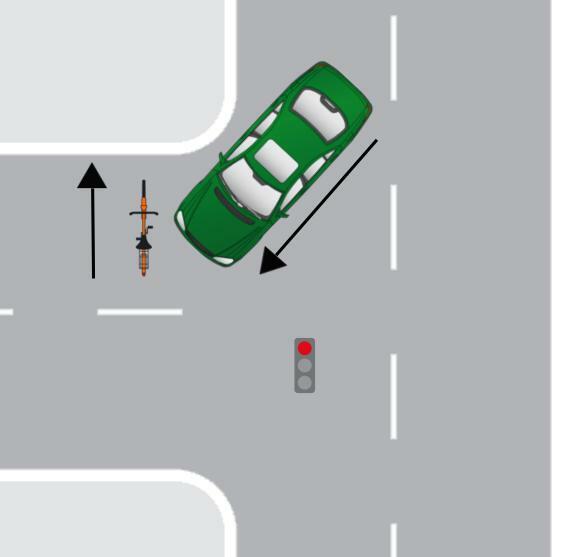 Both involve the cyclist riding on the wrong side of the road - in other words, the cyclist is on the left side of the road riding on the left, heading toward traffic. The cyclist is riding on the left side of the road and approaches an intersection. A car is stopped at the intersection to the cyclist's left and is making a right. The car does not look right to see if traffic is clear because he is making a right turn. The car pulls out and hits the cyclist or the cyclist hits the car. The cyclist is riding on the left side of the road. 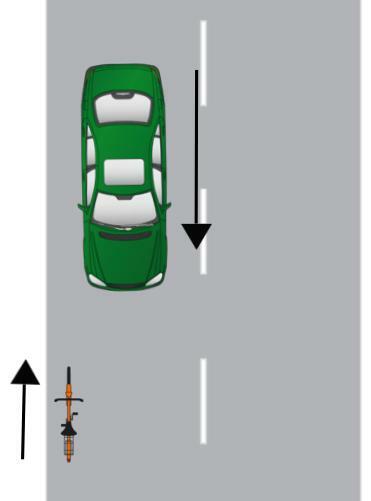 A car is approaching the cyclist head on but may not see the cyclist and a head on collision follows. RIDE ON THE RIGHT side of the road, going the same direction as traffic. That is the safest place to be. Cars pulling out of driveways and side streets are not expecting bicycles or cars to be driving on the left side of the road and will not check for them. Cars approach cyclists at much higher speeds because the cyclist and car are moving towards each other as opposed to with each other. In Virginia it is illegal to ride on the left side of the road. The cyclist is probably going to be found at fault almost every time in this case. If the cyclist was not flat out the cause of the collision, then he is likely at least contributorily negligent, or partly at fault, because he was not obeying bicycle laws, and in Virginia could not recover for his injuries. Even so, a jury or a judge makes the ultimate determination of whether the car was negligent and whether the cyclist was contributorily negligent.